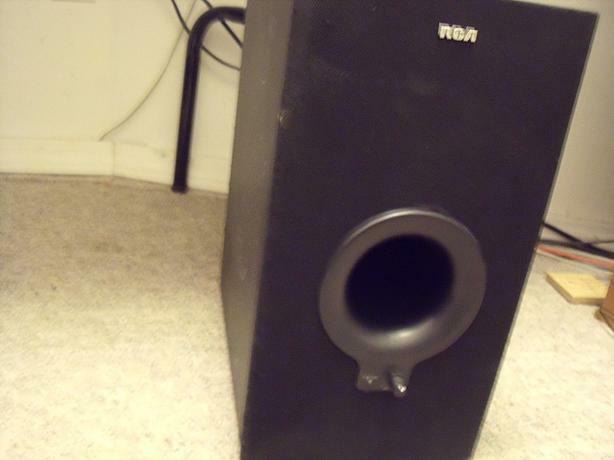 Sub-Woofer in great shape. Front vented with rear facing 6" woofer. Right and Left low level speaker in. Single audio line in. Switch for phase and frequency. Control for gain with on off. LED pilot. Grille is non-removable and in fair shape.